(TibetanReview.net, Aug13, 2017) – Tibet’s exiled spiritual leader, the Dalai Lama, is not visiting the southern African country of Botswana after all, having excused himself with “profound apologies” to the organizers of his events and meeting partners due to exhaustion. The Dalai Lama was to visit the country from Aug 15 to 20 to take part in a three-day Mind & Life Conference beginning Aug 17 and for other engagements in capital Gaborone. From towards the end of June and throughout July the Dalai Lama gave a series of religious teachings and took part in other public events in different parts of the Ladakh region of Jammu & Kashmir. He then took part in a series of public engagements in New Delhi and is currently in Mumbai which he has previously visited for routine medical checkup. And he is scheduled to visit Europe throughout much of September. The Dalai Lama has said his physicians had also advised him to avoid undertaking long journeys for the next few weeks and that he was therefore returning to his exiled home in Dharamshala to recuperate. To both President Khama and the Government of Botswana the Dalai Lama has expressed deep admiration, respect and gratitude for their principled unwavering stand to welcome him to the country despite overwhelming pressure not to do so. He has therefore expressed disappointment at being unable to visit Botswana at this time. 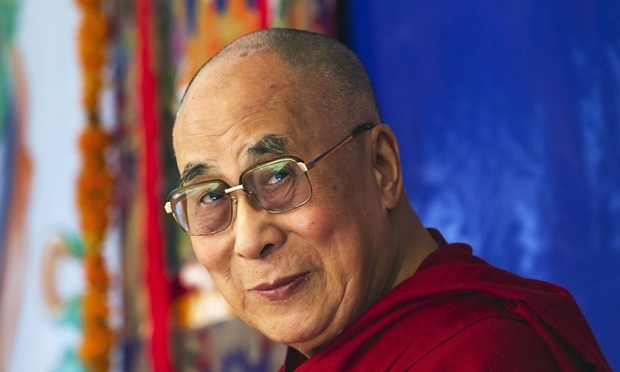 Botswana had asserted sovereign right to invite the Dalai Lama when China strongly and persistently objected to and criticized his planned visit and scheduled meeting with the country’s president. It demanded that Botswana respect China’s “core interests”. Its foreign ministry spokesman Lu Kang last month told Botswana to “earnestly respect” China’s sovereignty, and “make the right decision” on Tibet-related issues. Botswana, while describing the visit as “purely private” had added that the Dalai Lama would be granted the status of a “foreign dignitary”. China is a key investor in Africa and the continent’s largest trade partner. In Botswana it has helped build power plants, road networks, bridges and schools. However, some have described China’s current relationship with Africa as neo-colonial.